Following the resignation of Cllr P Gibbs, a casual vacancy has arisen on Selsey South Ward. 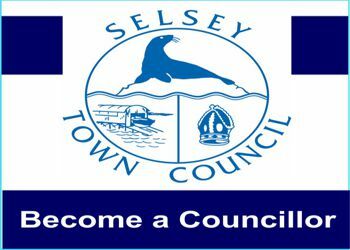 If you are interested in becoming a councillor please have a look at the information available on this website or contact Becky White, Town Clerk for an informal discussion on 01243 605803 or email for further details: becky.white@selseytowncouncil.gov.uk. Join us on Wednesday 8th November at 7pm at Selsey Town Hall for our Town Councillor Information Evening.